What comes to mind when you hear “healthcare innovation?” It’s likely you’ve imagined a Silicon Valley startup or an entrepreneurial company being groomed in the Boston life sciences hub; not a patient-centered nonprofit organization. Yet more than ever, nonprofit organizations are leading the way in innovative approaches that improve outcomes for people living with a disease. Growing up, I had always been drawn to helping others. I hosted a backyard carnival for the Jerry Lewis telethon for Muscular Dystrophy and trick-or-treated for UNICEF. Low-production events to be sure, but these organizations were using innovative methods to engage and connect a new community of people to a particular cause. While my connection to these causes wasn’t personal, these organizations tapped into my burgeoning skills for rallying people around a cause. In short, they made me realize that even as a kid, I could make a real impact. What I didn’t realize was how much these early experiences would guide my entire professional career. In the late 1980s, when the HIV/AIDS epidemic was nearing its peak, I witnessed healthy lives quickly stolen away. It spurred me to become a patient advocate in perhaps one of the most groundbreaking patient-centered movements ever in the United States. HIV/AIDS activism sprung from a broad patient and caregiver community aligned in its goals: demand involvement at all levels of scientific research and public health policy-making to reach better outcomes. Powered by the patient community, HIV/AIDS went from a life sentence to life with a chronic illness in fifteen years. Building on the knowledge and experience of the HIV/AIDS movement, I had the unique opportunity to work with Lee Iacocca, American auto executive and legendary business icon, leading his Family Foundation grant-making program and making philanthropic investments in type 1 diabetes; and later, for the Helmsley Charitable Trust, leading the development of its Type 1 Diabetes Program. These organizations gave me great insight into philanthropic investments to further science and illuminated a gap in type 1 diabetes research — the absence of a dedicated resource to accelerate the pace of type 1 diabetes research. Type 1 diabetes is unlike many illnesses. In simple terms, the pancreas stops working and the patient must take over its function; constantly monitoring blood sugar levels and administering insulin throughout the day to help the body break down sugar so it can be used as energy. Most patients struggle to meet recommended targets for blood sugar levels, insulin replacement is the only effective treatment and living with the condition remains a tremendous quality-of-life and financial burden. · Work with clinicians and patients to address gaps in patient care and make the delivery of care more efficient and cost-effective. It’s a mighty wish list, but we’re succeeding. 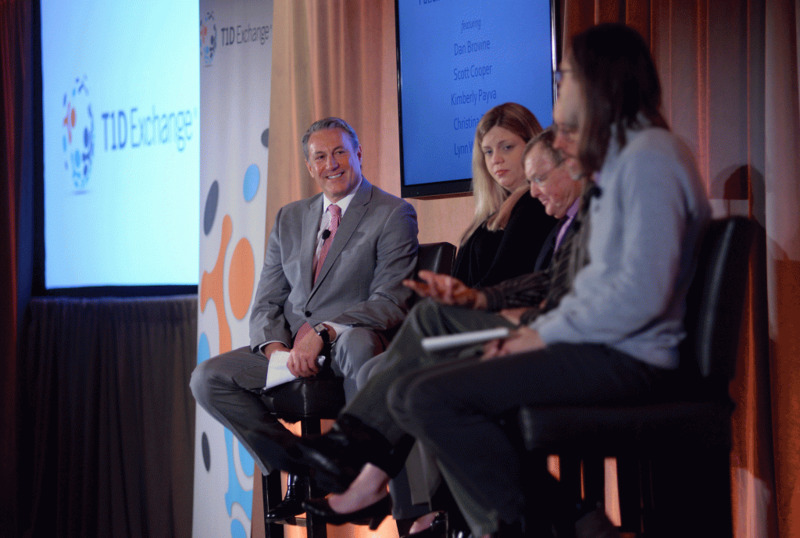 Nonprofits such as T1D Exchange can play a crucial role in healthcare innovation for those living with disease. Nonprofits can serve as a trusted steward of patient health experiences and data and can direct it efficiently to accelerate research taking place in academia, biotech, medical device and pharmaceutical companies. We can reach out to our community quickly to gain insights, perform market research, understand gaps in care and fill clinical trials. Our approach de-risks development of new treatments by involving patients in the process from the very start and keeping them engaged through commercialization. As a nonprofit, we need to be innovative and nimble so we can tackle challenges that for-profit entities simply cannot. We can work with anyone we think can move the needle on better outcomes. We don’t need to drive profits, so if we can sustain our program, we can be more tolerant of risk. We know that if it’s going to benefit the patient in a significant way, we can find the right funder — even if it means motivating kids to hold backyard carnivals. With all the resources we have available to us today, it’s important to collaborate and share information as much as we can. Only then will we be able to make good on the promise of progress and improve healthcare for patients nationwide.